DevelopMent AnD application of integrated technological and management solutions FOR wasteWATER treatment and efficient reuse in agriculture tailored to the needs of Mediterranean African Countries.  Climate change and population growth are expected to exacerbate the water crisis of Mediterranean African Countries (MACs), where agriculture accounts for 80-85% of freshwater consumption. The aim of the MADFORWATER project is to develop a set of integrated technological and management solutions to enhance wastewater treatment, treated wastewater reuse for irrigation and water efficiency in agriculture in three MACs (Tunisia, Morocco and Egypt). Have a look at the MADFORWATER project video presentation! Subscribe now to receive the MADFORWATER newsletters in your email with latest news about the project and the forthcoming events.